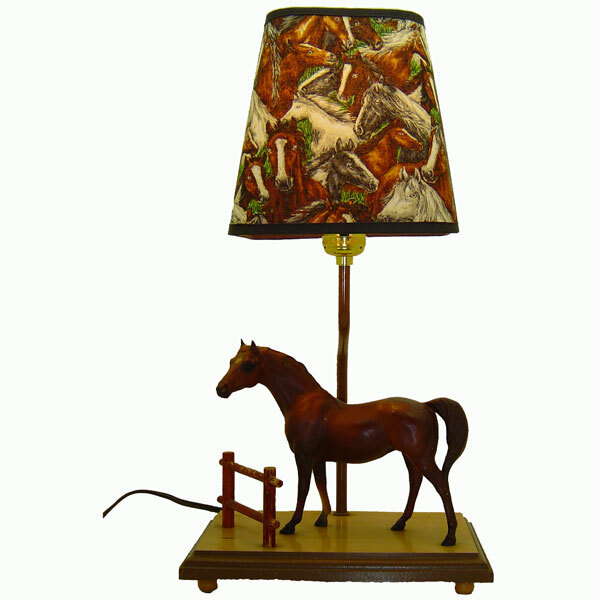 I found this cute horse lamp base at a garage sale; it was just waiting for a new handmade shade. I couldn't resist when I saw this fabric with horse heads all over. My husband cleaned it up a bit and added a new socket and now it's ready to light up someone's room. You can read more about it on my website at http://www.shades-etc.com/novelty.htm or http://www.shadesetc.ecrater.com/.